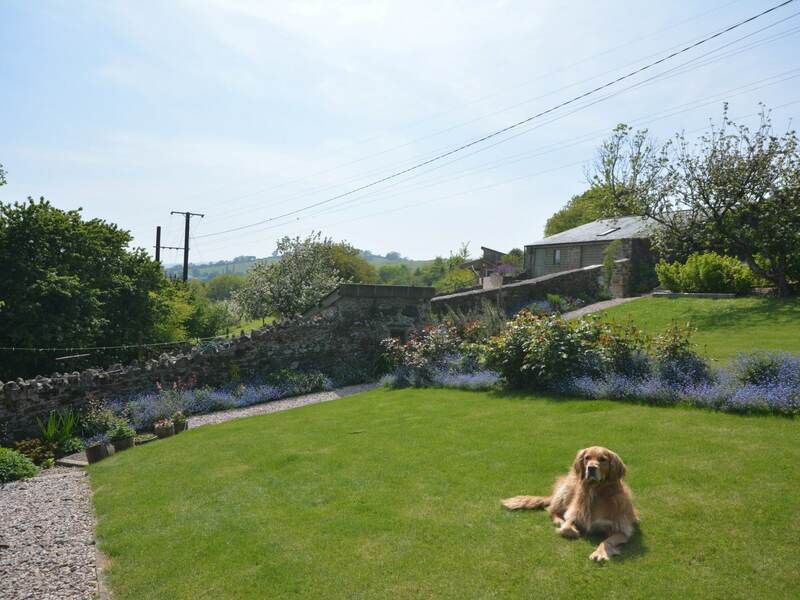 Based near the small town of Ashburton where you ll find everything you need to enjoy your stay this cottage is perfectly placed to explore the South Hams. 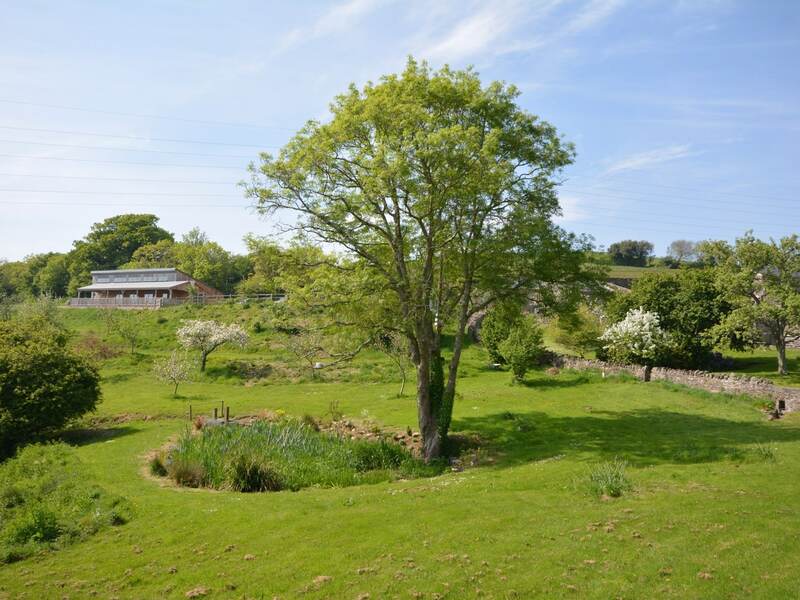 In one of the most beautiful parts of Devon characterised by rolling hills and river estuaries with towns to visit including Kingsbridge Totnes Salcombe and Dartmouth. 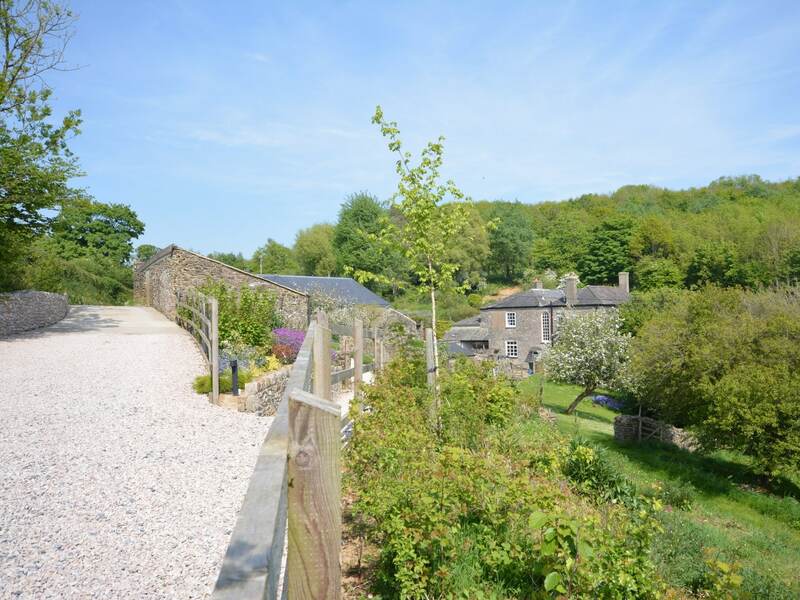 Being so close to Dartmoor this cottage is also perfect for walking holidays and nearby there are also plenty of family-friendly beaches to explore. The cities of Exeter and Plymouth are both also within easy reach. 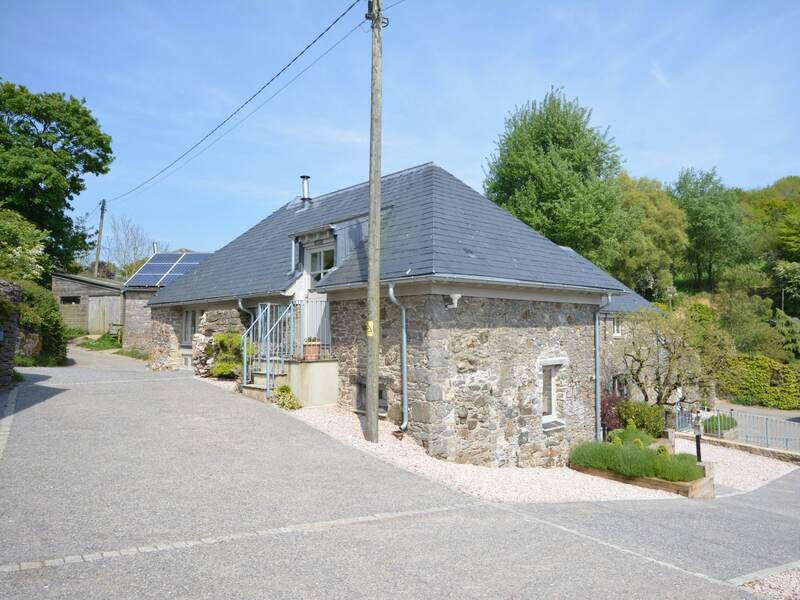 This property is one-of-four holiday properties on site the owners farmhouse also sits within the grounds. 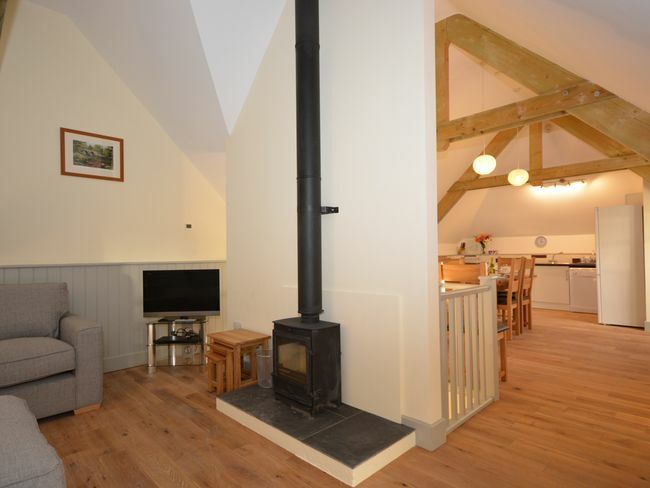 On entering this reverse-level cottage approached via 4 external steps you will find the spacious and elegant open-plan lounge/kitchen/diner. 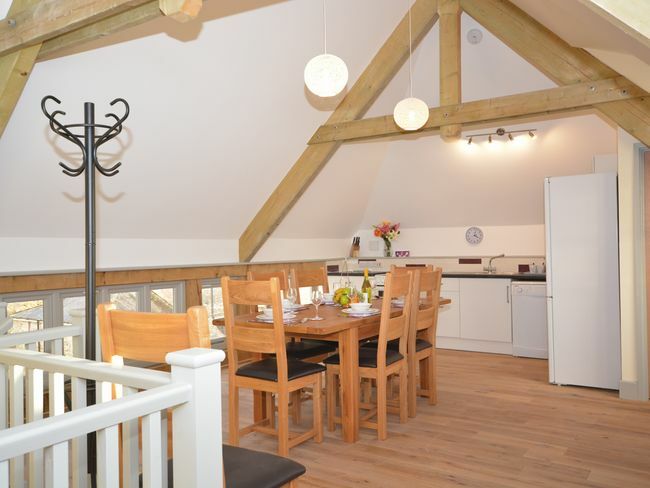 Boasting exposed beams oak doors and an apex ceiling this is a stylish and inviting space. 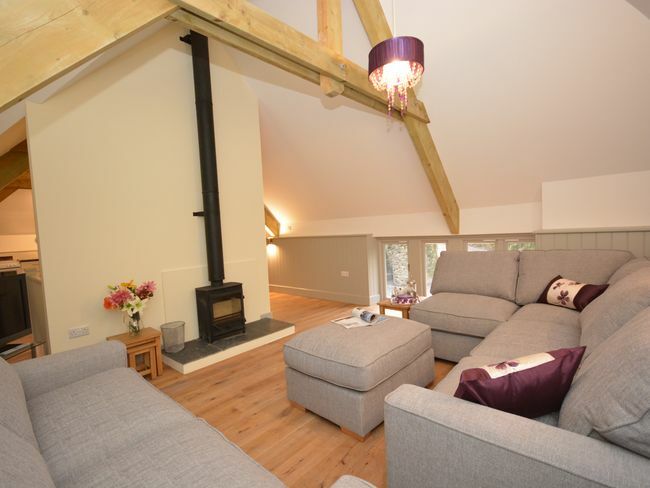 The lounge is complete with TV/DVD and traditional wood burner. 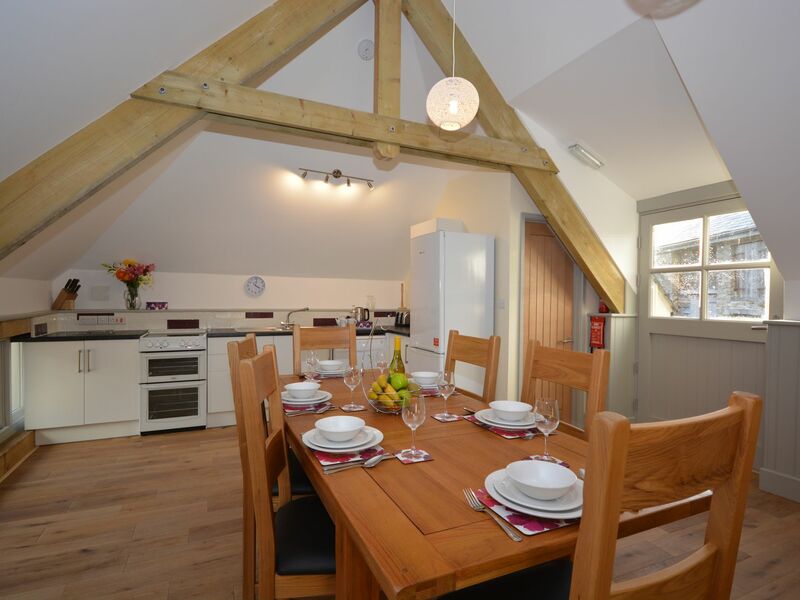 The kitchen is equipped with everything you may need during your stay including an electric oven and hob microwave fridge/freezer and dishwasher. The dining area is ideally situated whether you re sitting down for a big meal or grabbing a quick snack. 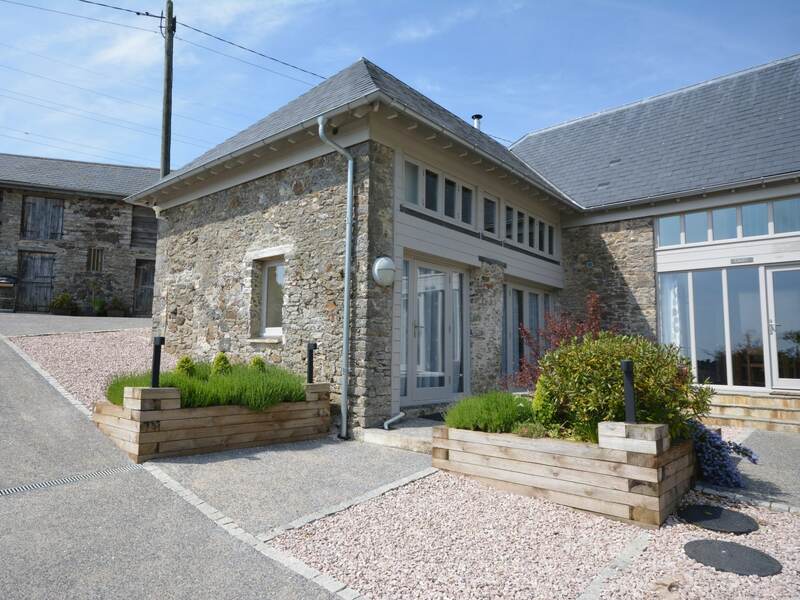 Heading downstairs to the ground floor you will find three bedrooms. 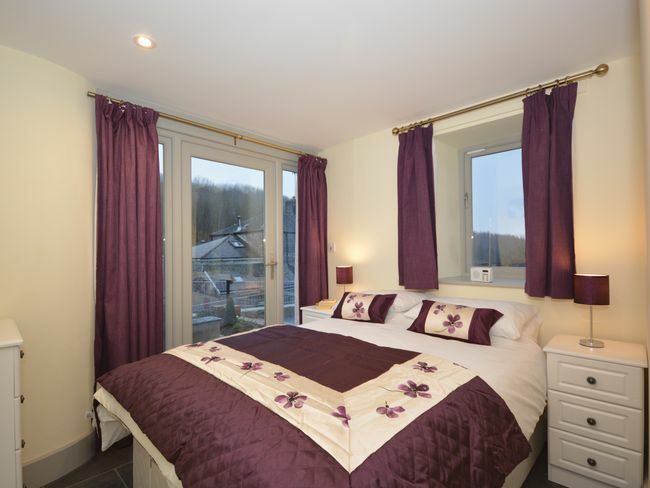 There is a double with en-suite shower room with WC and French doors leading to the terrace a cosy king-size zip-and-link (which can be made into two 2 6 singles on request) with doors leading to the terrace and a comfortable twin bedroom. There is also a bathroom downstairs complete with shower over the bath and WC. 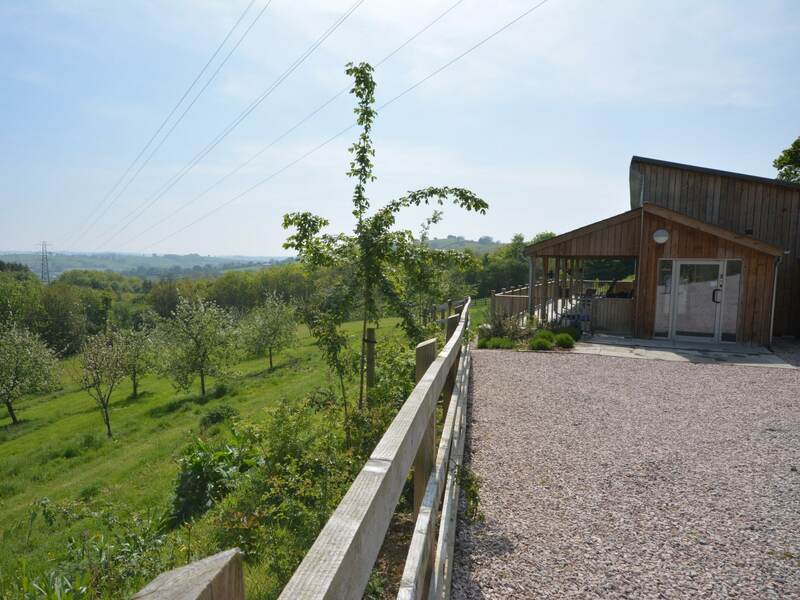 This property is eco-friendly and energy is supplied by a biomass boiler and solar panels. 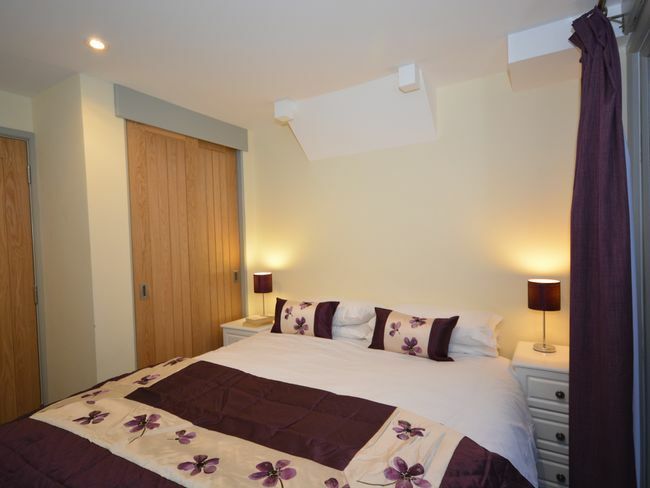 For those who choose to do their laundry during their stay there is a shared utility room on site with a washing machine and tumble dryer the use of which is payable by an honesty box. 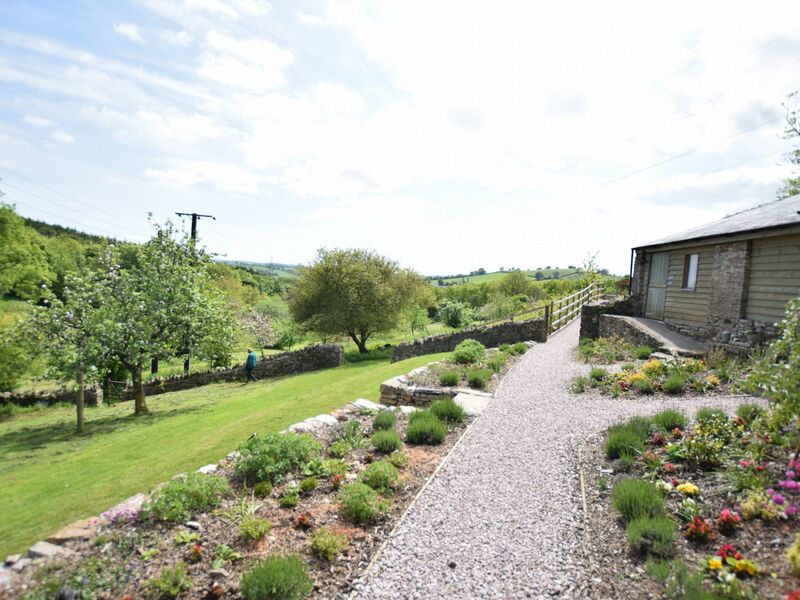 Stepping outside you can relax in the spacious gardens shared with the other cottages in the complex. 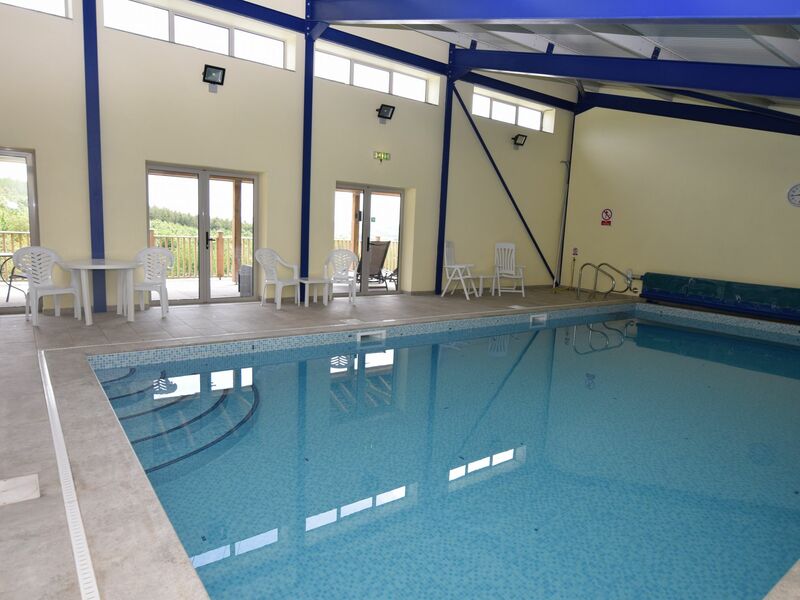 You are welcome to use the shared facilities on site such as the indoor heated swimming pool open all year round and complete with shower and changing facilities. 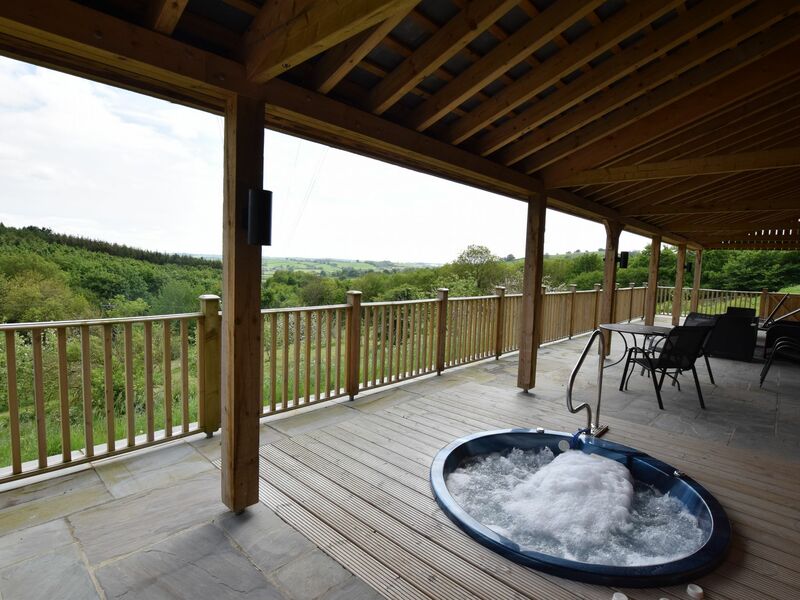 You can also relax on the veranda with its shared sunken hot tub plenty of seating and sun loungers taking in the beautiful countryside views. 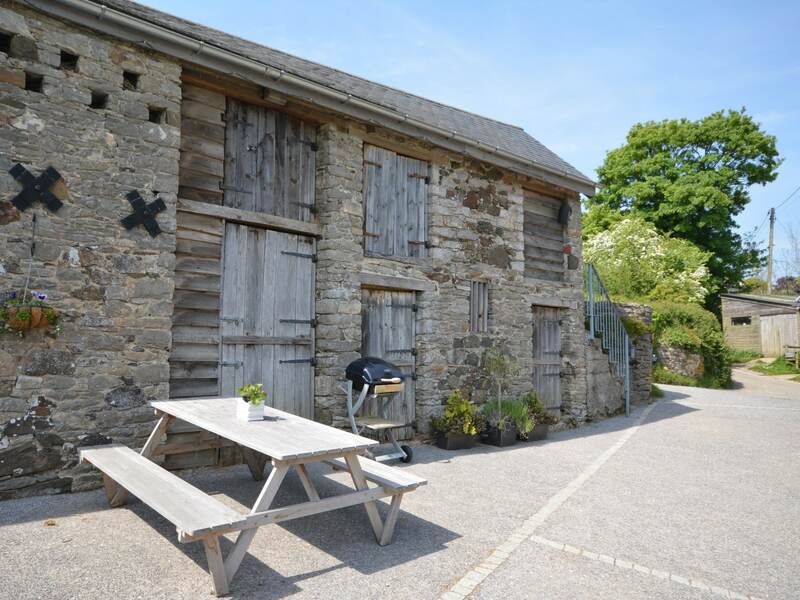 BBQ area is available next to the properties. 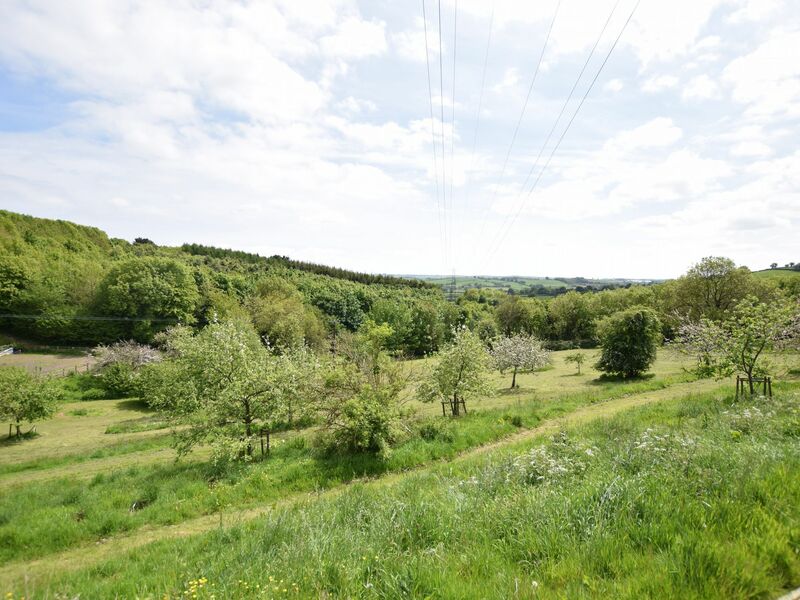 Nearby is the local community woodland which you are welcome to explore. 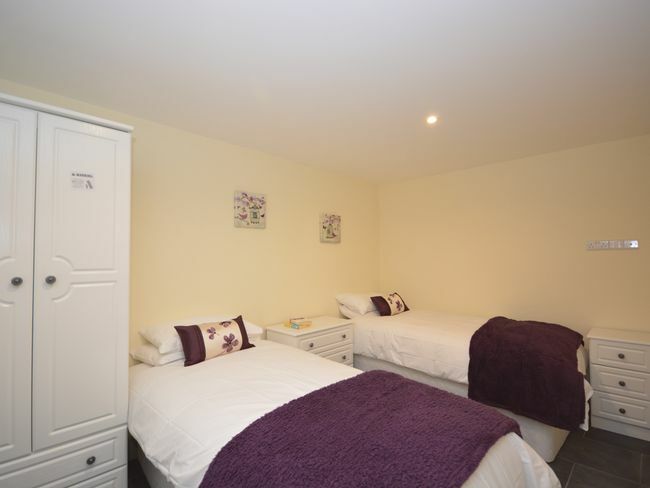 There is also a heated drying room for muddy boots wet coats and secure bicycle storage. Off-road parking is available for two cars.